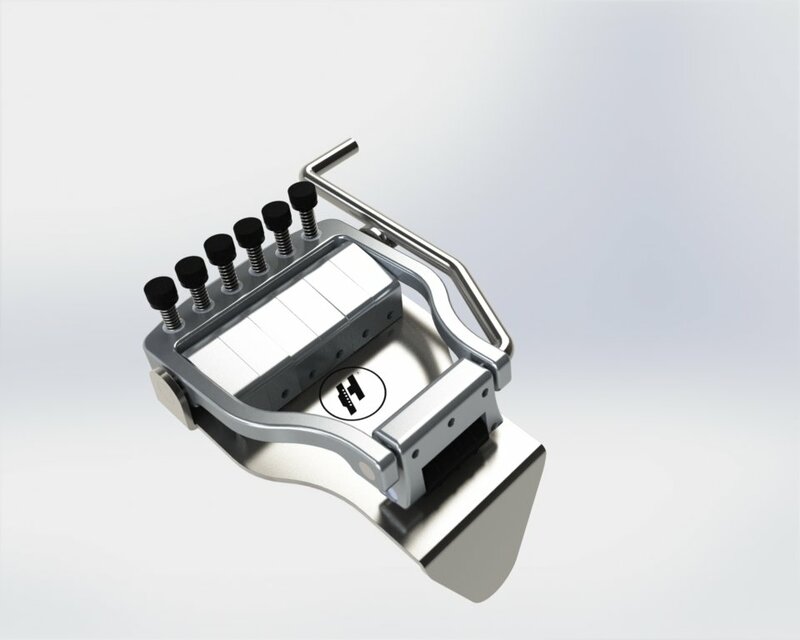 Hipshot’s Doubleshot Tuning Tailpiece opens up your Dobro® or resonator guitar to new dimensions of tuning with the DoubleShot. Flip of the DoubleShot’s lever you can effortlessly change from open G to open D or from open F to open E (and beyond!). It's like having two instruments in one! The low tuning is set using your traditional tuners and the high tuning is set on the thumbscrews of the DoubleShot. The lever actuates individual cams that bend each string to the higher pitch accurately and quickly. It’s all mechanical and so dead simple it seems like magic. Extremely accurate and quick tuning changes with the flip of a lever. Made from polished aluminum and stainless steel, components will not corrode over time. We recommend installation with the Rolling Nut and Locking Tuners (shown below) for smoother and more accurate transitions. For both Round Neck & Square Neck guitars. Made in USA.